Lakefield‘s final release, Swan Songs, opens with lead single “Good Guy,” immediately introducing you to Kate Rossiter’s elegant vocal approach accompanied by minimal instrumentation which slowly builds throughout the track’s four-and-a-half-minute runtime. The lyrics are simple and safe but they manage to feel genuine and the track starts to feel a little on the lengthy side as there’s very little change in the structure until we’re well into the second half. It’s here that we’re given the first true vocal duet from Rossiter and guitarist Steven Luscher but unfortunately their voices seem to clash and feel distanced from one another resulting in a very distracting (and repetitive) section toward the song’s end. “Hand Delivered” is certainly more alive. It’s got a cutesy pop vibe and a little more punch than the opening track but again, the vocals would probably fare better if only one or the other member was singing as their combined effort makes for an unfitting engagement. However, the fuller “whoa oh oh ohs” toward the song’s end sound much better as the conjunctive effort that it is – assuming that it would come through much flatter if provided solely by Luscher or Rossiter alone. The vocal duet is something that continues on through the entirety of the six tracks except when we come to the (unfortunately) very brief interlude where we find only Rossiter singing a sweet and lovey little piano-lead ditty that’s honestly one of my favorite parts of the entire 20-minute EP. It showcases the effortless beauty in her voice more so than most moments in the longer tracks and really makes the listener wish there were more moments such as it. Another highlight, though, is some of the instrumentation found in the final two tracks. The piano melodies are always refreshing and the incorporation of a horn element initially feels out of place but actually fits really well within the structure of the songs. The most exciting thing, I found, is that after the complaint of the vocal duets on the earlier tracks, we’re met with great back-and-forth vocal sections in “Don’t Waste Time” and “Your Conviction Is Sweet” that makes you forget all about the previous lack of vocal cohesion. You may not find a track on Swan Songs with the emotional resonance of a “Brothers On A Hotel Bed” or a “Transatlanticism” and you may not find yourself with a chorus like Stars’ “Changes” stuck in your head out of the blue months down the line, but what you will find is something to respect; six very solid tracks from an indie pop quintet that loves what they do and give it their all. Their career as a band may have been short-lived which ultimately put the kibosh on their chance to evolve as a collective and produce further efforts with even more focus and lasting power but this is what we’re left with – a record that may not be a Plans or a Set Yourself on Fire but one that alluded to an act’s promising future that certainly had the potential to create something in line with those celebrated works. 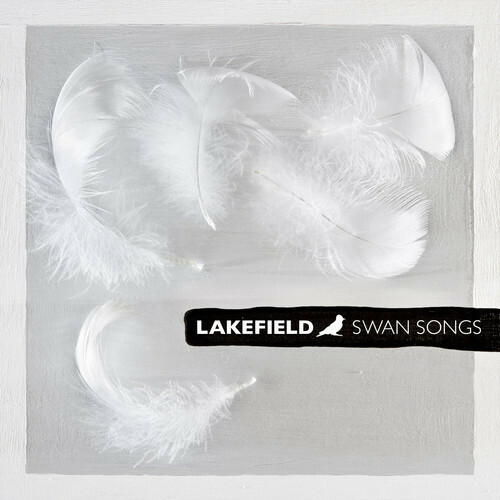 It’s unfortunate that Lakefield have had to disband but going out with Swan Songs is certainly nothing to scoff at. It’s cute, cohesive, and Canadian and in my book, you can’t go wrong with such a combo. But in all seriousness, Swan Songs is a truly solid listen for any fan of the aforementioned acts or indie-pop-leaning genres in general.